May 2014 - An Opportunity to Celebrate Life! There are moments in life best to just forget. Right? Often those moments don’t really go away. Instead, they lurk beneath the surface of our psyche, waiting to resurface, and play havoc. For me one of those moments occurred when I was in fifth grade in the early 70’s in the inner city of Richmond, VA. My city school system was going through a LONG period of finding a solution to racial segregation with the latest plan to bus kids into an inner city building while a new better school was being built. The building I was bused into held only fifth grade. There were about 350 fifth graders, 90% black and 10% white. Looking back, I would definitely say there were some flaws in their thinking. However, at the time, I was simply one of the 10%, and determined to find a way to survive my first year of being bused out of my neighbor and into a new school district. My biggest life challenges have not been related to racial integration. However, this particular year, I did struggle. Aside from being white, I also was a young girl of 10 years, who apparently looked a lot like a boy. Day one in my fifth grade class, my teacher actually challenged me when I said I was a girl. “Susie Clarke – are you here?” Ms Childs’ picked up her eyes from her clipboard to look for a raised hand as she went through the class list. “No, I said Susie. Do not start off on the wrong foot young man!” She said with a stern look. “I am Susie. I am not a boy.” I could feel a lump forming in my throat, as everyone in the class laughed, but I spoke with a determined strong voice. No way was I going to show the tears! Ms Childs’ looked, and finally, after what seemed like an enternity, she checked me off. If you can believe it, things got worse. Though Ms Childs created some of the initial problems for me with that opening day event, she also strongly encouraged me to stay positive, and not give up on my efforts to engage in making the school a better place. I believed I had a chance to win, and eagerly put up my posters. I remember speaking to the entire 350 person class in the school gym. I wouldn’t say I got much applause, but I still believed I could do it. The day of the vote, I arrived early to cast mine. Like any confident candidate, I put my vote in the ballot box with a check beside my name. Later, when the new council was announced. I froze when the Principal announced not only the winners, but every candidate, with their number of votes. I was horrified, and wanted so desperately to RUN! I slipped out to go to the bathroom. Unfortunately, on my way out, to add insult to injury, I ran into one of the biggest bullies on the playground, Charlotte, who grabbed me and took great joy in rubbing my face in my humiliating loss, saying, “That will teach you!” Somehow I got away from her, and made it to the relative safety of a bathroom stall, collapsing in my humiliation and shame. That crushing moment was seared into my cells. I am not quite sure how I recovered. Though I did. I made a vow to never, ever put myself in a situation like that again. Never step into that kind of leadership. Never ask people to choose me. Then I did what any good survivor does. I buried that moment. The memory has stayed unearthed longer than other painful blows, many of which, on a physical level were much worse. However, it has played havoc with my efforts to speak out with my own my voice and step into my own leadership. Don’t get me wrong, I have stepped out into leadership, but under someone else’s platform. I lead other people’s programs, and coach under the umbrella of other people’s models. Recently though, at thrive!, CrisMarie and I have been standing forward with our own voice and our own model. It hasn’t been easy. As we work on our marketing efforts for our business, and define our voice and brand, I have bumped into that old doubt and unearthed roots of my fears: Fifth Grade School Council Elections! I heard her say this, and that fifth grade moment flooded back to my body and being again. I choked back some sort of response, and got off the phone. This time I wasn’t going to run. I wasn’t going to hide. I needed to somehow release the most painful part of these types of moments. So I turned towards that little eager, humiliated fifth grader. I cried with her, laughed with her, and let her know that I believe in her — even when it seems like no one else does. Now I am sharing her story, leading through it, making more of it. There wasn’t any reason for me to be ashamed of my efforts in fifth grade nor this past month with my workshop. As Brene Brown would say, “I entered the arena.” It’s okay that I lost, and I am glad I voted for myself. As for the workshop, I made the offer. I actually believe that the process of committing to dates, and marketing in a variety of different ways, was quite valuable. I learned a tremendous amount. I don’t want to bury this moment. I want to release it. Share it. Maybe no one else has ever had something that horrifying happen. I doubt that is true. Maybe you buried a humiliating moment too, only to have it play havoc with some part of your life. Maybe this story will help you remember, that you are not alone. Don’t bury it. Don’t hide. Lead through it. This recent moment of mine is already different than fifth grade. One, because it unearthed the earlier moment, and has helped me re-frame and rewrite those old vows. • I will step up to lead with my voice. • I will ask people to choose me (and us). • Yes, I will cast another vote for myself. • I will learn from, rather than, bury a negative result. Secondly, though this recent workshop didn’t go, I did create online program at the end of my last blog, Empowering Yourself Crisis, Conflict and Change that people are engaging in (check it out and sign up if you want to play), and is now becoming even more fun to work on and develop. Bottom-line: I didn’t bury the impact or lesson this time. I learned how to lean in, and lead through it, and for that I am grateful. So most everyone has heard of Dorothy in the Wizard of Oz. Well, Dorothy’s story is a wonderful tale of Crisis, Conflict and Change. She went through the three stage process that I call the path for turning “Oh Sh*t!” to “Aha!” – Empowering yourself through Crisis, Conflict and Change. Dorothy seemed to be doing okay in Kansas, until a tornado suddenly ripped her from her stable world. Now, that tornado, and the experience of being flown to a new location was a definite crisis point! When she arrived in this new land, she landed on a witch! Talk about potential conflict! It was clear this wasn’t Kansas and indeed there were lots of opportunities for facing fear, and dealing with conflict! Her travels took her down the yellow brick road and allowed her to discover new friends and have some very interesting interactions. Dealing with yet another witch, facing the flying monkeys and, though not mentioned in the story, traveling with friends, brings up all sorts of conflicting choices, and challenging conversations! Finally, meeting Oz, discovering that he wasn’t quite the man she had been promised. He did though point her in the right direction and she soon learned that she wasn’t ever without the resources she needed. However, she did need to make a significant change. From looking outside herself, and relying on others to give her the answers, to leaning in to each new experience and relationship with courage and heart. Then and only then, would she know she had what she needed to get home. We all have our own versions of Dorothy’s transformation. Some type of crisis that rips us from our normal state, and off we go on a journey. Having to deal with the conflict that comes with looking inward and living outward. Meeting new friends, while letting go of the old ways of being. In the end, embracing change and our new self. My travels have taught many lessons in how to take the journey, and some valuable tools for living and thriving, even through the pain and challenge of loss, setbacks and obstacles along the way. Now, I want to share with, and hopefully learn from, you as well. 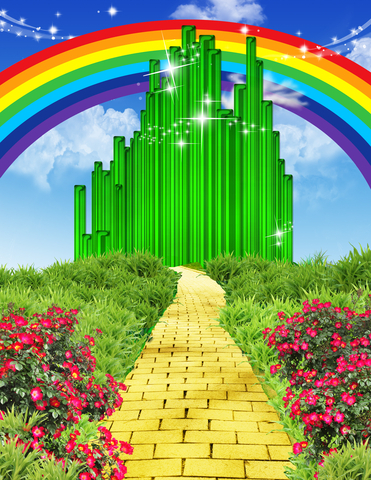 This 4-part FREE program called, Follow The Yellow Brick Road, empowering yourself through crisis, conflict and change! is a self-guided journey of discovery. To learn the keys to successfully Follow The Yellow Brick Sign Up Below and get a daily email to each part of the journey. The daily invitations create new ways of thinking, feeling and exploring your unique situation. Of course, as you go, you may discover you want support. If so, call me for a 20 minute FREE chat or consider taking the June workshop at The Haven, Living through Crisis, Conflict and Change – “Oh Sh*t” to “Aha”!